We’ve now got two strong looking colonies of British Black Bee (Apis Mellifera Mellifera) in the Peak Hives Apiary. On inspection the other day with our experienced beekeeping friend Carl we popped off a cap from a drone cell and there looking up at us was a fat and annoyingly healthy Varroa Destructor mite. Today I decided to start a monitoring process using the slide out trays on our Varroa floors which will be in the hives for the next seven days. When they are removed the mite drop will be counted and action taken if the mite drop is above certain suggested levels (see the Beebase page on Varroa and the very useful Varroa Calculator). I read somewhere about putting oil onto the paper laid on the slide out trays to make sure the little buggers can’t get away or don’t blow away and in the photo you can see the two trays that went into the hives today at 4pm. 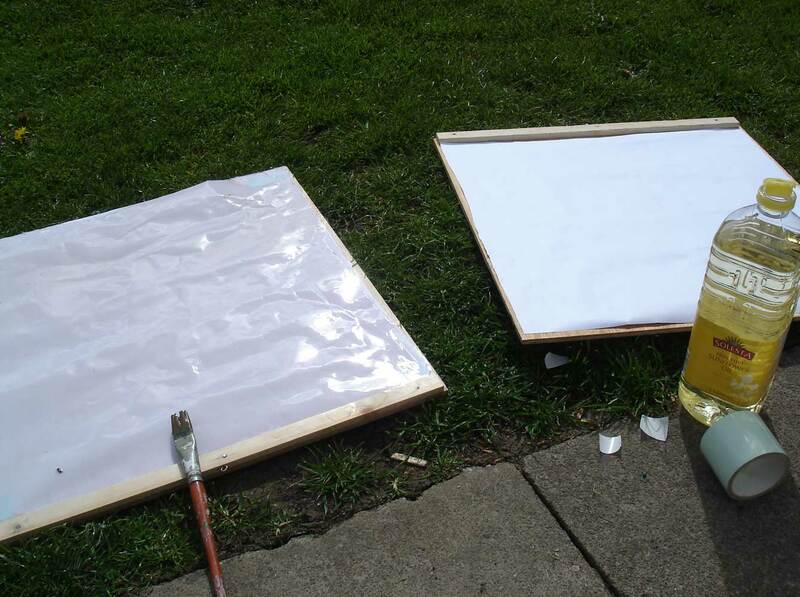 On the right is just plain white paper and on the left the paper has been liberally coated with sunflower oil. I did wonder if the smell from the oil might cause fright to the bees. Perhaps someone with better knowledge could comment on that. Anyway in they went and now to wait for the results. Can’t wait for the results, we were undecided whether to use a Varroa tray or not. You can use a sticky paper on the bottom too but I think the oil idea will work much better.